The cruelty-free lifestyle means that being sweatshop-free and vegan go hand-in-hand. 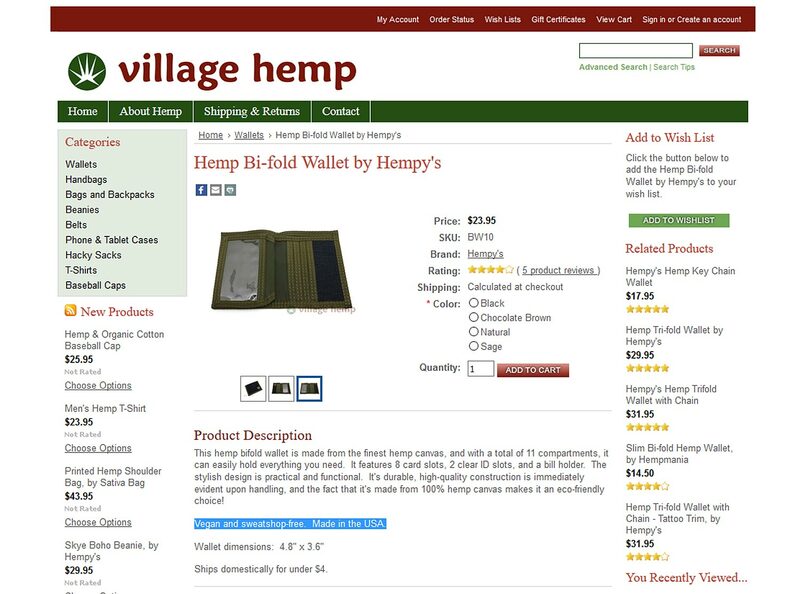 If you’re looking for wallets, bags, belts and other accessories you can check out Village Hemp. 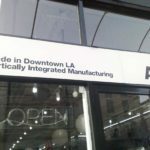 Not only do they specialize in vegan goods that are made in USA, their stuff is made from hemp which is also eco-friendly. 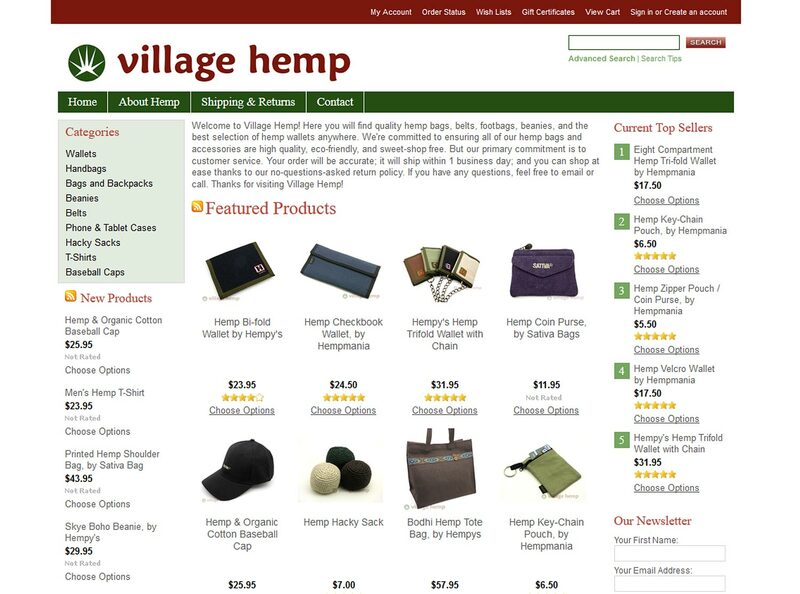 Some of the brands they carry are: Hempy’s, Hempmania, Ecolution, Earth Divas, etc. 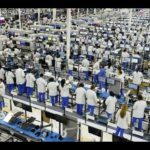 Not everything on their site says sweatshop-free or made in USA, but most of it is. It’s recommended that you email them before ordering to confirm. We’re committed to ensuring all of our hemp bags and accessories are high quality, eco-friendly, and sweet-shop free. The typo “sweet” was their own, and yes it’s sweet to be sweatshop free! Most of their listings state “Vegan and sweatshop-free. Made in the USA,” so it should be OK.